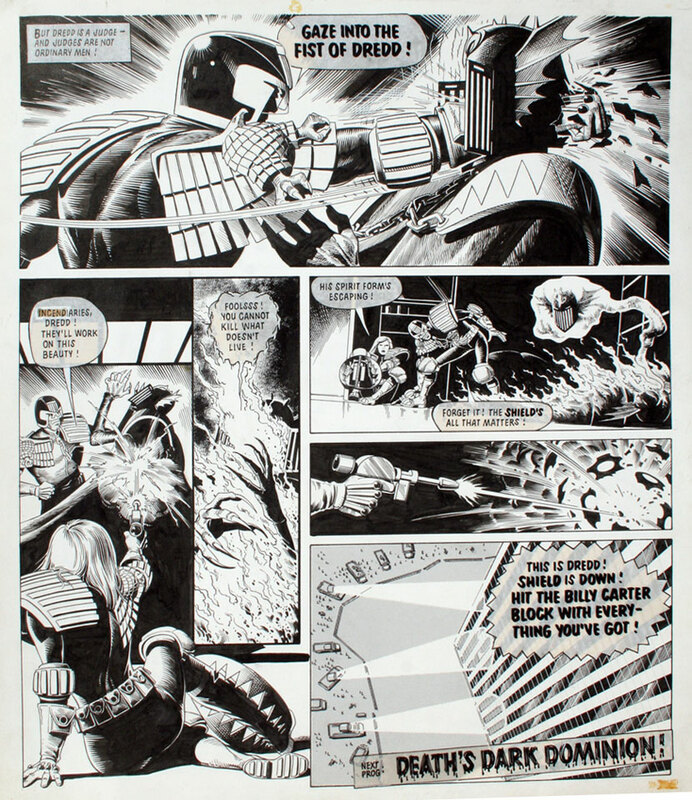 Dredd has always been one of my favourite comics, growing up as I did on a steady diet of 2000 AD. Curious readers ought to check out stories like The Apocalypse War, Judge Death, The Graveyard Shift, Destiny’s Angels, Necropolis, America and my pick for the best Dredd story ever, The Starborn Thing. All of these can be found in the Complete Case Files series of re-prints, around books numbering four to eight and beyond. 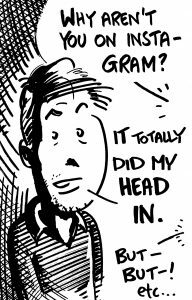 In my opinion the greatest Dredd writer of all is John Wagner (pen-names TB Grover and John Howard) and any of his stories are worth a look, combining action with tongue-in-cheek scifi and some devastating one-liners from Old Stoney Face himself. I have also noticed a recurrent theme of transvesticism too. The best JD is top British comedy that whacks you – and the hapless citizen – over the head with a daystick while you chuckle. 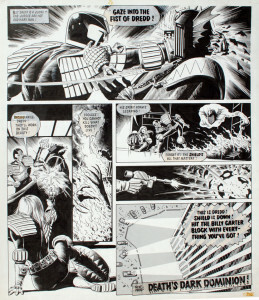 Here’s a page by Brian Bolland. © Rebellion. At UKCAC 97 I met John Wagner. I asked him if he was a retailer, to which he replied, slightly indignantly, “I’m John Wagner!” I was like, “Wow! Have a look at my portfolio!”. This was back in the days when comic conventions, for me, were stepping stones on my path to becoming the next Frank Miller, and woe betide anyone in my way (I never did attain Miller-hood of course, but back in the days at conventions, in my mind, it was just a matter of time).